HomeCinemaHollywood GossipCASTING SHOCKER: LAVERNE COX AS DR FRANK-N-FURTER IN THE ROCKY HORROR PICTURE SHOW! We just don’t know WHAT to think about the casting of Laverne Cox asDr Frank-N-Furter in the Fox TV live remake of The Rocky Horror Picture Show. Certainly she has the acting talent and probably the voice to match. 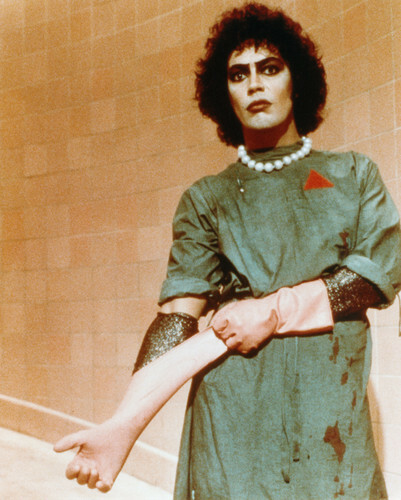 But the original star Tim Curry has some big shoes to fill. He was brilliant and unforgettable as the cross-dressing mad scientist. Casting a transgender WOMAN in the role of a transvestite MAN is confusing, indeed. Wow. But that’s what might make it a must-see production. Shahrukh and Sunny Leone to shake a leg on ‘Laila O Laila’ for Raees!